San Francisco paid $400,000 to a public relations firm for research that touted the city is near spotless, according to government documents obtained by the NBC Bay Area Investigative Unit. The city’s own 311 records, which reveal soaring services calls pertaining to trash, used needles and human feces, tell a different story, and it isn’t the first time the discrepancy has occurred. 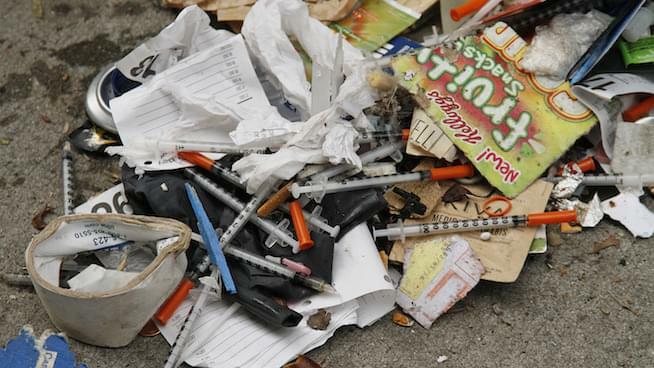 NBC Bay Area reports the same PR firm, JB Partners, Inc., said last year San Francisco was the cleanest it has been in four years despite complaints about trash swelling 40 percent, human waste complaints climbing by 96 percent and complaints concerning used drug needles experiencing a dramatic uptick of 228 percent during the time frame. The firm was initially brought on in 2013 to assess progress within the Public Works Department; however, their results have been deemed potentially inaccurate by members of the community and the city’s own budget analysts and auditors. JBR Partners did not respond to the news outlet’s repeated requests for comment. In light of the uncertain data, Don Goncher, a long-time policy analyst with San Francisco’s Budget Legislative Analyst’s Office, recommended San Francisco lawmakers avoid implementing any long-term budget increases for Public Works, which already received a multimillion-dollar boost by Mayor London Breed earlier this year. Host Chip Franklin and his co-host, Nikki Medoro, dedicated a segment to discussing the questionable results — Medoro isn’t surprised. Listen to their full discussion below!